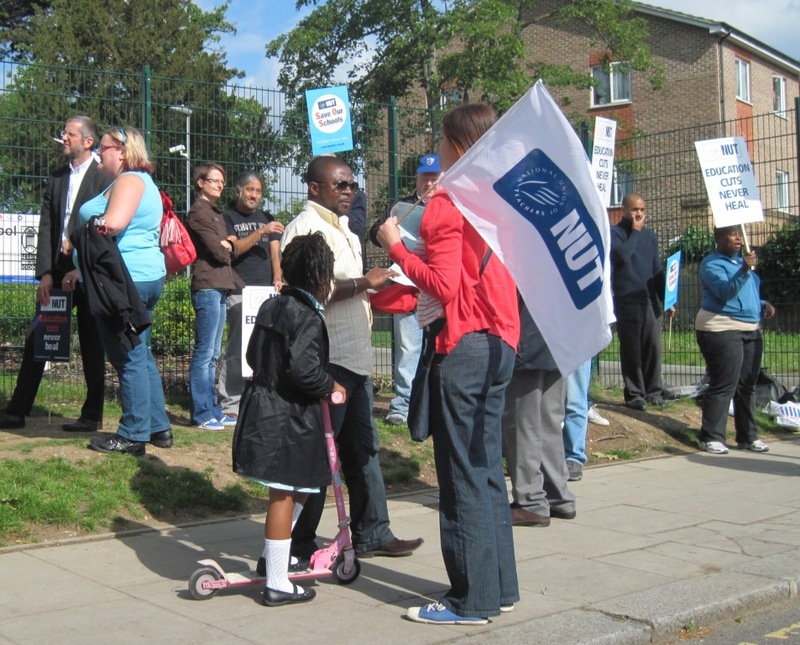 Today was the first day of strike action taken by NUT members at Forest Hill School in Lewisham to protest against the threat of compulsory redundancy. 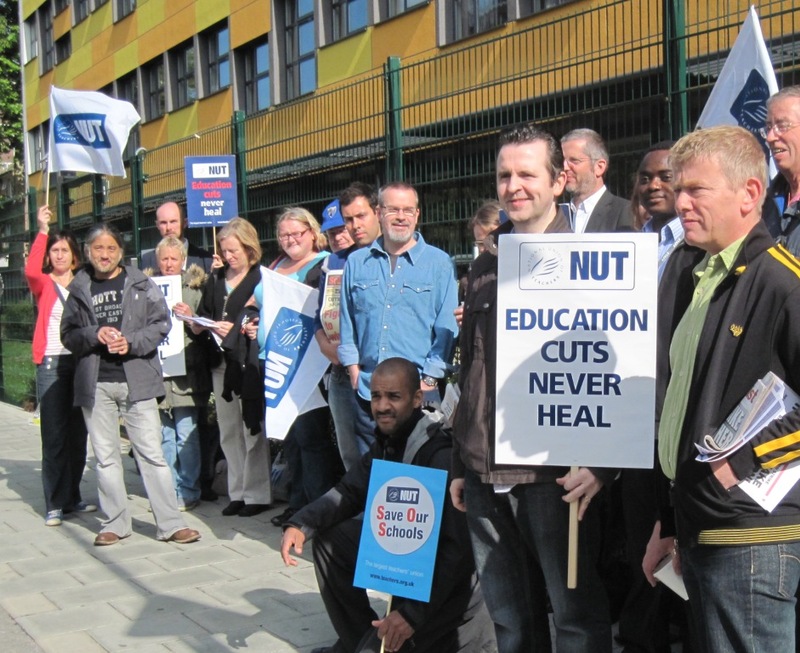 As our leaflets explained, just as with the pensions dispute nationally, staff are being asked to pay for the mistakes of others. The deficit at Forest Hill is not caused by falling pupil numbers but mistakes made over the costs of sports facilities and the high cost of the PFI contract for the new school building. The support from staff - and from the public - was tremendous. 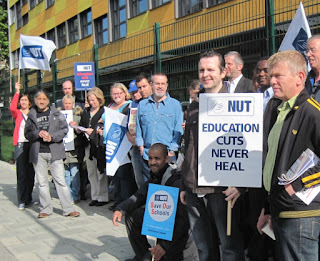 Over 50 were on strike and over 30 came out on the picket-line at 8am. 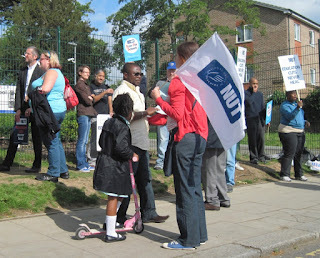 From there, groups of staff went to leaflet the local train stations and parents at feeder primary schools to get our message across: "Forest Hill is a Good School - Let's Keep it that Way - No Redundancies!" Everyone reported on the support they received from passers-by and the general public. 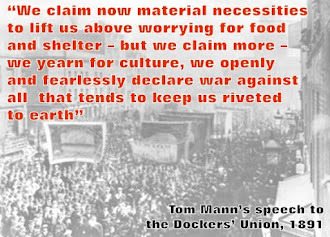 As one local mum said to me - "Good on you - someone's got to fight" ... and we are!